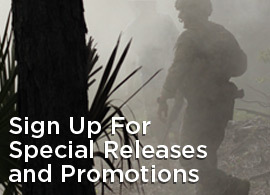 To see the full list of compatible weapon systems - see the Family of Weapon Slings Guide. As with all Blue Force Gear products, the Standard Issue Vickers Sling​™ is made with excellence in the USA, is Berry Compliant, and carries a limited lifetime warranty. 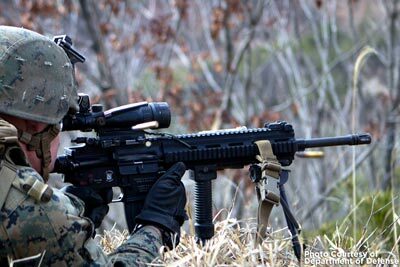 Lance Cpl., an infantry automatic rifleman with 1st Platoon, Company A, 1st Battalion, 3rd Marine Regiment fires his M27 Infantry Automatic Rifle on the final objective point of a live fire range conducted at the Infantry Platoon Battle Course at Rodriguez Live-Fire Complex in the Republic of Korea . U.S. 5th Fleet, Saudi Arabia - A U.S. Marine with the 1st Light Armored Reconnaissance detachment, Battalion Landing Team, 2nd Battalion, 1st Marines, 11th Marine Expeditionary Unit (MEU), fires his M27 infantry automatic rifle toward the objective area during a bilateral live-fire assault exercise with Saudi Marines as part of exercise Red Reef 15 in Ras Al Khair, Saudi Arabia. 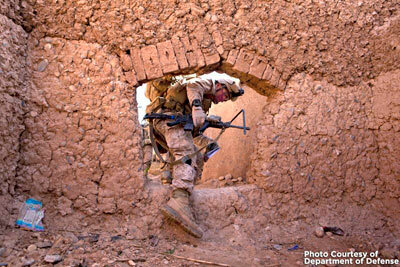 U.S. Marine Corps 2nd Lt. steps through a compound passageway during an interdiction operation against insurgents near a bazaar in the Nad Ali district of Afghanistan's Helmand province, Dec. 4, 2013. Salka is a platoon commander assigned to the 1st Battalion, 9th Marines.